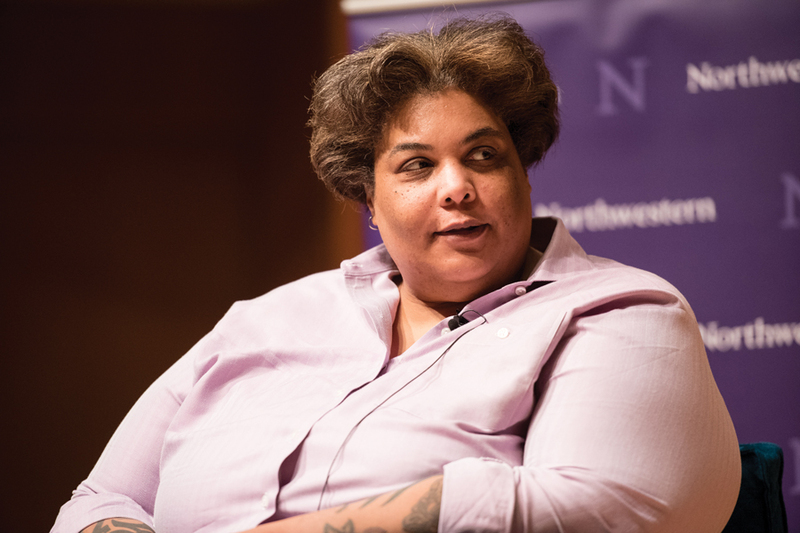 Among her words of advice to young writers on Tuesday, author Roxane Gay encouraged audience members not to feel like “you have to” constantly write about identity. She addressed a packed Pick-Staiger Concert Hall in a talk co-hosted by the Contemporary Thought Speaker Series and the Women’s Center. Answering questions from a moderator and audience members, Gay explored nuances in race, pop culture and writing. In her advice to younger black girls, Gay said standing up for oneself and resisting people’s stereotypes of “angry black women” is her most powerful tool. And more importantly, she told them that it’s “OK to be angry,” but encouraged them to make good use of their anger. CTSS chair Ben Zimmermann told The Daily the group had wanted to bring Gay to campus for a while. For Gay, her role as a critic involves seeing pop culture and broader culture as not a binary, but a spectrum. Analyzing pop culture allows for a better understanding of the current political climate, she said. Gay’s talk also pushed back against expectations for art by black people and people of color. While white people can get away with art of far lower quality, Gay said, black artists are held to much higher standards. She added that though the recent rise of black art is hopeful to see, artists of color should be allowed more room to fail as well. Weinberg junior Toni Akunebu told The Daily she resonated with Gay’s discussion of how to tell personal stories and make the private, public.